In the world of higher education, non-traditional students are the new normal. Most students somehow fit this category. They may have delayed going to college, have family responsibilities or do not have a high school diploma. In short, non-traditional is anyone who does not fit the typical model of recent high school graduate starting college. Education may be only one small part of a very busy life filled with work and family commitments. In general, methods of learning have changed. Students have more access to online courses and flexible scheduling. As non-traditional students make up more of the student population, they require specific tools to reach their educational goals. Non-traditional students may not be able to get to see professors during office hours. Enabling video-conference technology helps professors know what’s going on with students. They are available through video chat to answer class-related questions and make special accommodations if necessary. Without this access, non-traditional students are at a disadvantage, since traditional students get more direct instruction. Non-traditional students have tight schedules and limited mobility, so they cannot always arrange one-on-one meetings. In traditional online courses, students usually have to write exams and submit papers on a set schedule. But that exam or paper may have to take a back seat. Non-traditional learners will put elder care or child care first, or go to work to cover living expenses. 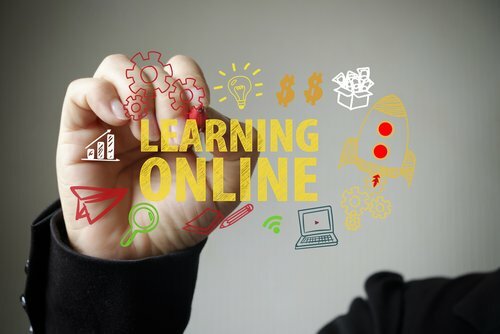 To compensate, online learning modules should allow for testing at the time and in the location of the student’s choice. Attending class is a barrier for adult learners who have to pay for transportation to get to campus. With distance learning, non-traditional students have the option to watch these lectures at a later date. When exams and papers come later, a video is an equally efficient way to hear a professor speak. While this has always been the case with distance learning, it’s particularly necessary for non-traditional students. They may be constrained by responsibilities or finances and find it hard to get to class. Research and lab work has always been challenging outside the traditional campus environment. It’s always been hard to describe the hands-on benefits of a science lab to distance learning students. They may not have the same access to tools to do experiments. With videos, however, students can learn the same concepts, enjoy the same discovery and absorb the same ideas. Digital copies of textbooks, papers and other resources facilitate independent study and research. They particularly help non-traditional learners, who may need to absorb information in a different way. Perhaps they learn better through watching videos than by reading text or learn more through discussion. Non-traditional students have more opportunities to expand their learning through different kinds of resources. Schools want to open their doors to a new generation of students who are not traditional learners. They have to look for new ways of delivering course materials. They must also find new methods of receiving input, exams, papers and collaboration from non-traditional online learners. The road is already challenging for these students. They should have access to a new model of learning in order to find success in education. Beginning in the 1980’s, technology has radically altered daily life, communication, and education. Siemens, the developer of connectivism, labeled it as a new learning theory heavily influenced by technology.